Motorola continues to impress their fans going into the weekend with this latest news. The DROID 4 had its build of Ice Cream Sandwich approved earlier this week and we have been waiting to see when it would officially roll out for all owners. 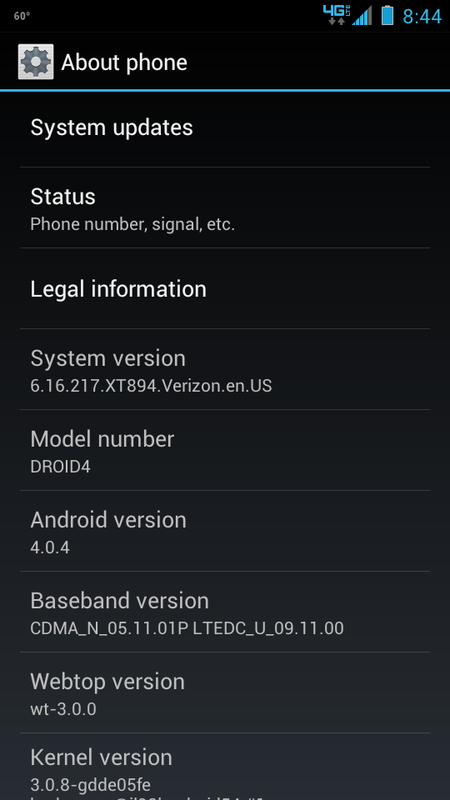 The build is the same as the previous leak, .217, and brings the device up to Android 4.0.4. If you have been waiting for the update head over to System > About Phone > System Updates to see if the update has rolled out to your area yet.